ALLEGRA BOVERMAN/Staff photo. Gloucester Daily Times. 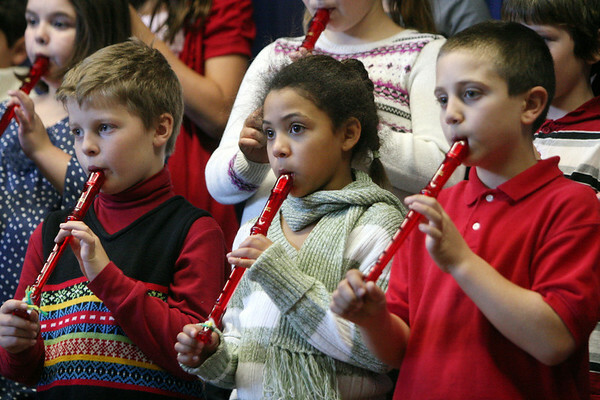 Gloucester: Playing on their recorders during the East Gloucester Elementary School Winter Concert on Tuesday are third graders, from left: Henry Richard, Alexis Nivar and Tucker Destino. The whole student body performed for family and friends.